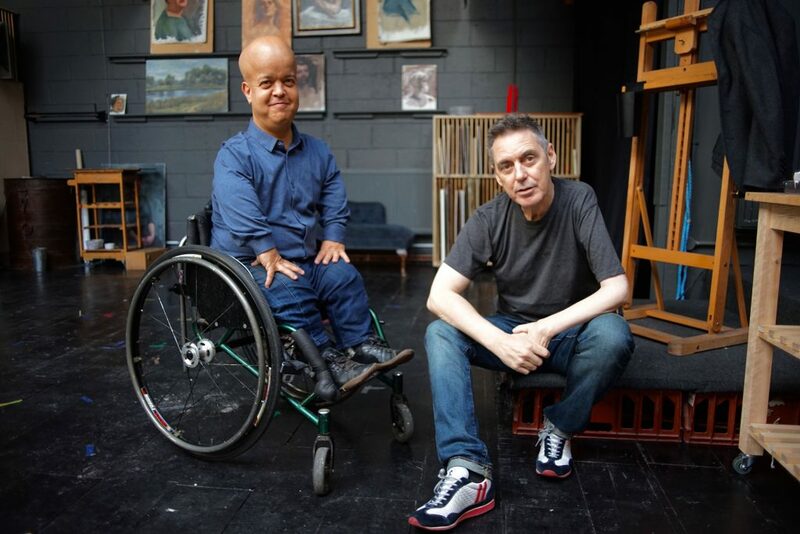 Dwarfs in Art: A New Perspective is a documentary presented by disabled filmmaker Richard Butchins, which explores the representations of people with dwarfism throughout the centuries in art and culture, revealing society’s shifting attitudes towards people with dwarfism. It is first being broadcast on BBC Four on 20 August 2018. Review by Alison Wilde and Erin Pritchard. Focusing on a wide range of art artefacts, including sculptures from ancient Greece, to modern photography, Dwarfs in Art explores how artworks throughout the ages have either reinforced or challenged preconceived perceptions about dwarfism. It is a long overdue documentary, as people with dwarfism seem to remain one of the last minority groups that is acceptable to exploit for entertainment purposes. Whilst the freak shows of the Victorian era began to fade away in the 20th Century, due to changing attitudes towards people with physical deformities, people with dwarfism continued to be exploited within the entertainment industry. Drawing on interviews with people with dwarfism the show demonstrates how widely accepted derogatory representations of dwarfism, including the seven dwarfs, negatively impacts upon people with dwarfism in society. As Richard Butchins, the presenter, advises us from the start of this documentary, a ‘hidden chapter’ in the History of Art, and the History of Disability is revealed in this film. He does justice to both, covering a lot of ground, speaking to a range of people with dwarfism. These include well-known actors and academics such as Kiruna Stamell and Tom Shakespeare, and non-disabled experts such as Marianne Bergeron (Curator of Classical Greece at the Ashmolean). It was good to hear the experiences of people with dwarfism, especially those who are not dwarf actors, but we felt that these experiences could have been explored and exposed further. The wider implications of the objectification of dwarfs, such as being stared at and mocked, are only hinted at. Would it have been too harsh to highlight some of the realities of living with dwarfism, such as the fear of leaving the home and the avoidance of crowds? Perhaps the BBC is playing it safe? Over the years the BBC has been guilty of using people with dwarfism as a form of comic relief, which has repercussions for people with dwarfism within society. For example, the BBC sitcom ‘Life’s too short’ released in 2011 and starring dwarf actor Warwick Davies, has been criticised by people with dwarfism for its negative impact upon them within society. Should we consider this as art? And does that matter? Butchins is a charismatic presenter, who makes his job look easy. There are – quite typically – efforts to lower the tone in discussions about the diminutive size of penii in Ancient Greek ideals of manhood, and a joke about satyrs chasing drunk girls, when explaining the imagery of male dwarfs, depicted as satyrs, on a Greek wine jug. He makes these quips within a brief discussion of early caricatures of dwarfs, agreeing with Marianne Bergeron that they were positioned as entertainers and ‘less than human’, from these early depictions in Ancient Greece and Rome. They go on to show the sharp contrasts to the reverence seen in early portrayals of dwarfs in Egypt. Butchins’ discussions with Bergeron and other academics/curators does much to make the potentially complex ideas in this documentary accessible, whilst leaving us in no doubt that perceptions are socially constructed. However, the conversation with contributors goes on to show society how such perceptions and negative ideologies persist through the following centuries, often deeming people with dwarfism as spectacles and sub-human. Such attitudes were evident throughout the 17th and 18th century in European courts, where people with dwarfism were given as gifts and kept as pets. 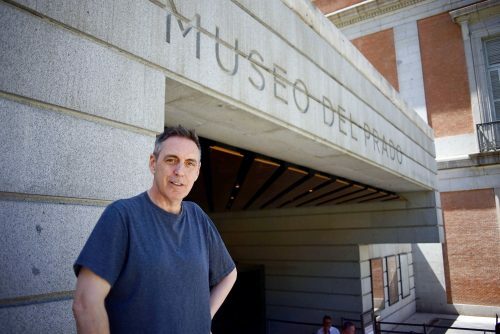 The documentary then moves onto a more positive representation of dwarfs in art through exploring the work of the 17th century Spanish artist Velázquez. It is explained that Velázquez characterizes people with dwarfism with respect and intellect. Although Alison had studied some of the work of Velázquez, as part of her Masters degree, especially ‘Las Meninas’, she found the analysis of the role of the two dwarfs (Maria Bárbola and Nicolas Pertusato) valuable, extending her previous knowledge, and probably bringing new perspectives to those well-versed in art history. It is a real strength of this documentary that Butchins does this with great ease, whilst providing a valuable introduction for those unfamiliar with academic discussions on art. As an image which is often praised as a meditation on life, art and reality it is explained that disabled people were in a prominent position in ‘Las Meninas’, both in the painting and in their ‘real-world’ positions in court. These points are made well in ways which inform and entertain. Butchins is not afraid to recognise dwarfism as a disability, an identity that is often contested, but perhaps this recognition will show how people are staring and laughing at someone’s impairment, as opposed to what they perceive to be a form of entertainment. In analysing these paintings, the notion of staring is touched upon, but Erin would have welcomed further delving in this area, since it is a common interaction for people with dwarfism. As such, it feeds everyday prejudices which legitimise the idea of dwarfs as entertainment. As Dan Kennedy (2003), a father of a child with dwarfism, points out, people who use wheelchairs don’t rent themselves out, so why should dwarfs? Nonetheless, the documentary glides skilfully between portrayals of people with dwarfism in different historical periods to the experiences of people within contemporary culture, clearly outlining the negative ideologies which lead to the over-use of dwarfs in portrayals of ‘evil’ and as figures of fun. 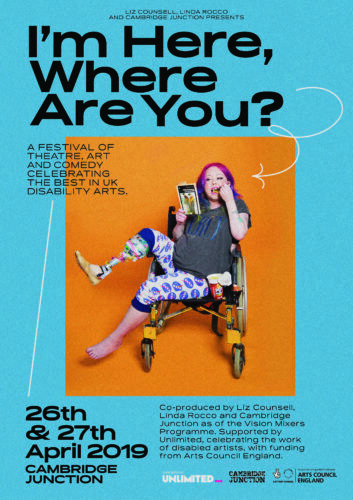 Butchins also raises the vexed question of who gets to portray disabled people, and how we do it. We hear Kiruna Stamell explaining how she trusts Tanya Raabe-Webber, an acclaimed disabled artist who has painted many disabled performers and artists, to ‘see her’ in a way which is closer to her own experiences of disablement, thus allowing her to paint her portrait in a more authentic manner. Indeed, though some may question Butchins’ own status in making this film, as someone of average height, his own disabled identity, and disposition towards aesthetics, positions him as an ally to people with dwarfism. His obvious talents for presenting on this topic perhaps add to the arguments against strict impairment-matching in the telling of authentic tales of ‘disability’. The positioning of people with dwarfism, as experts, alongside other experts and academics was another strength of the documentary, helping to challenge ideas of difference, mythology, evil and ‘fun’, presenting dwarfs as ordinary, talented, and competent in making decisions about their own lives as others do. Revealing something of the lives of artists and performers from the past adds to the commentary of contemporary voices. Focusing on the work of Richard Gibson, a 17th century artist with dwarfism, brings to light that people with dwarfism are more than just entertainers. Yet, hearing the thoughts of Józef Boruwłaski, a musician with dwarfism, shows how he yearned to be taken seriously. It is clear from such accounts that society’s ignorance is the biggest barrier. This is further reinforced through the inclusion of Ricardo Gil’s work, a photographer with dwarfism. Ricardo Gil takes photographs of people and places from his height, in order to show the audience what is like to experience the world as a person with dwarfism. As a person with dwarfism, Erin sometimes felt uncomfortable watching parts of the film, as she does not think the documentary does enough to fully challenge the disablism apparent within society, such as the nonchalant use of the term midget. Whilst Butchins does acknowledge that the term is offensive by people with dwarfism, the views of people with dwarfism seems to be overridden when the average sized artist Peter Blake is interviewed. Despite the wide range of contributors to this film, including several academics, such as historians and experts in fairy tales, many of the themes addressed are related to royalty or the aristocracy, including the discussion of Richard Gibson (in several royal courts) and the work he did in painting portraits of VIPs of the period. As such, we tend get a distinctive historical view of dwarfs which is biased towards their place in social elites. This is even true of a discussion on the history of garden gnomes (in a fascinating discussion with Twigs Way, the author of Garden Gnomes: A History). We are guessing that, despite the common occurrence of dwarfs in the history of art, most often to reflect the preoccupations of those who define themselves as ‘normal’, and frequently believed to be the possessions of those they served, there are few portrayals of those who lived in lower social orders. However, it is good that this is being broadcast. Now the BBC needs to practice what it preaches. People with dwarfism have shown the BBC that cultural representations of people with dwarfism negatively affect them within society. The BBC needs to ensure that they do not continue to reinforce these attitudes and behaviours through their shows. At the very least, other stories need to be told. Dwarfs in Art: A New Perspective will be broadcast on BBC Four at 21:00, Monday 20th August and available on iPlayer shortly after. Dr Erin Pritchard is a lecturer at Liverpool Hope University in the department of Disability and Education. Her research focuses on the social and spatial experiences of people with dwarfism within the built environment. Her work engages with Geographies of disability and Geographies of body size to understand how particular spaces are exclusionary for people with dwarfism. 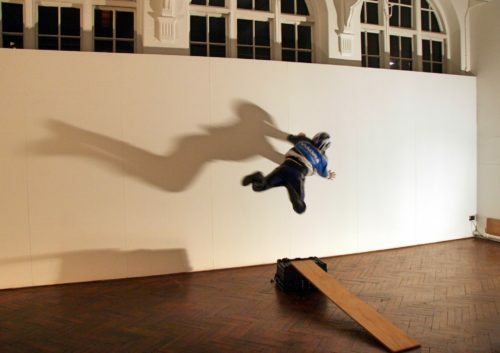 More specifically her work explores how people with dwarfism navigate through different spaces and negotiate both social and spatial barriers, including unwanted attention. Drawing on from this unwanted attention her work explores how cultural representations of people with dwarfism effect how other people perceive and subsequently interact with people with dwarfism within society. Her work has appeared in both academic and non-academic publications, including the Scandinavian Journal of Disability Research, Geography Compass and The Times Higher. Dr Alison Wilde is a Senior Lecturer at Leeds Beckett University. Most of her research is on the topic of screen representations of impairment and disability, with a focus often placed on gender and audience interpretations. Her research and writing has included publications on soap opera, reality television, and cinema. She is currently completing a book for Ashgate, on the topic of film, comedy and disability, and is also writing papers on young people’s experiences of viewing ‘disability films’.